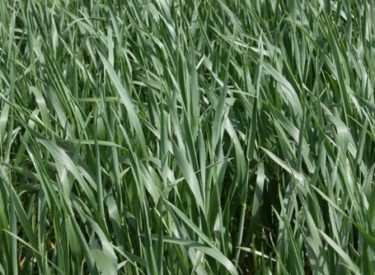 The latest government snapshot gives the Kansas winter wheat crop a mixed review. The National Agricultural Statistics Service reported Monday that 20 percent of the wheat is in poor to very poor condition. The agency rated 36 percent of the wheat in fair condition, with 42 percent in good and 2 percent in excellent shape. Their assessment comes after a month in which all of Kansas received some precipitation, with the heaviest amounts falling along the state’s southern border. Topsoil moisture is rated as adequate to surplus in 63 percent of the state. Temperatures in January were two to four degrees below normal in much of western Kansas, while the rest of the state saw temperatures ranging from two to six degrees above normal for this time of year.